For the 21st Annual American Black Film Festival, the producers have put together some exciting new innovative programs and events. Check out what’s new! Kicking off the festival on Wednesday, June 14 at the historic Olympia Theater, will be the worldwide premiere upcoming comedy Girls Trip, featuring Regina Hall, Tiffany Haddish, Jada Pinkett Smith and Queen Latifah. On Thursday, June 15, at the New World Center, guests can attend a “First Look” Q&A with Girls Trip actress Regina Hall, director Malcolm D. Lee (The Best Man franchise, Barbershop: The Next Cut) and producer Will Packer (Ride Along and Think Like a Man franchises, Almost Christmas). In addition to the best of black film and TV, the five-day festival will offer an innovative program with new experiences including, The Creators Summit, hosted by CAA, is an intensive program which provides diverse storytellers valuable insights into the process of pitching and developing film, television and web-based projects; The ABFF Careers in Entertainment Center is a three-day educational forum where festival partners (leading media companies, organization, union and guilds), host targeted workshops and tech talks to foster career development; and The Virtual Reality Experience will include a special screening of dynamic VR content, followed by talk backs with filmmakers and VR experts. HBO, the festival’s founding and presenting sponsor, will be marking the 20th anniversary of the widely acclaimed HBO Short Film Competition at the festival on Thursday, June 15 at the Colony Theatre. The closing night film at the festival will be the Tupac biopic, All Eyez On Me, from director Benny Boom, on Saturday, June 17 at Regal Cinemas. “2017 marks our twelfth year in Miami. 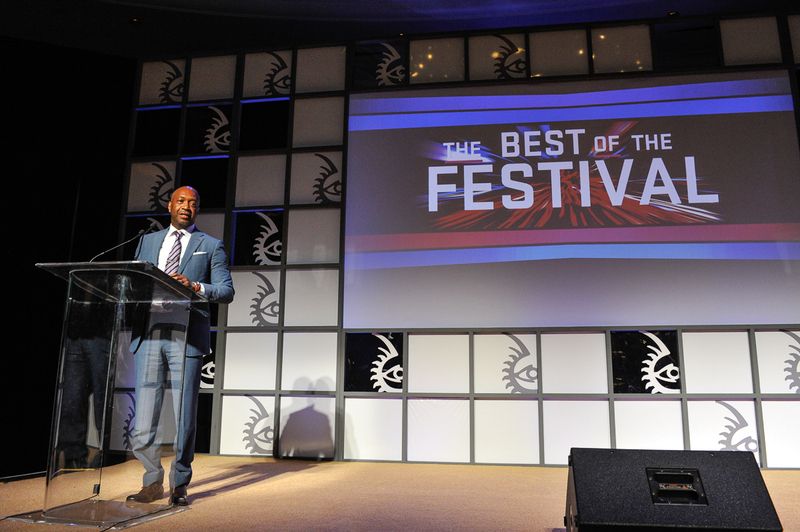 The Greater Miami Convention & Visitors Bureau (GMCVB) has been an amazing partner of the ABFF and I would like to personally thank Bruce Oros, William D. Talbert III, Rolando Aedo, Connie Kinnard and the entire GMCVB team for their partnership and dedication to sustaining multicultural tourism in the Miami area,” says Jeff Friday, CEO of ABFF Ventures. Giving back to the community provides the perfect backdrop to the closing out of the American Black Film Festival. As part of Miami Film Month, the Greater Miami Convention and Visitors Bureau is partnering with the ABFF to host a Community Day film screening event on Sunday, June 18, 2017 at the Little Haiti Culture Complex, located at 212 NE 59th Terrace in Miami. The event is free and open to the public. Click here for a complete festival schedule and to purchase passes, tickets for events, panels and screenings.